First published in 1998, this volume reflects that, ever since the publication of Edward Said’s Orientalism twenty years ago, scholars have tested his thesis against the wider application of his terms to cultural practices and the rhetoric of power. 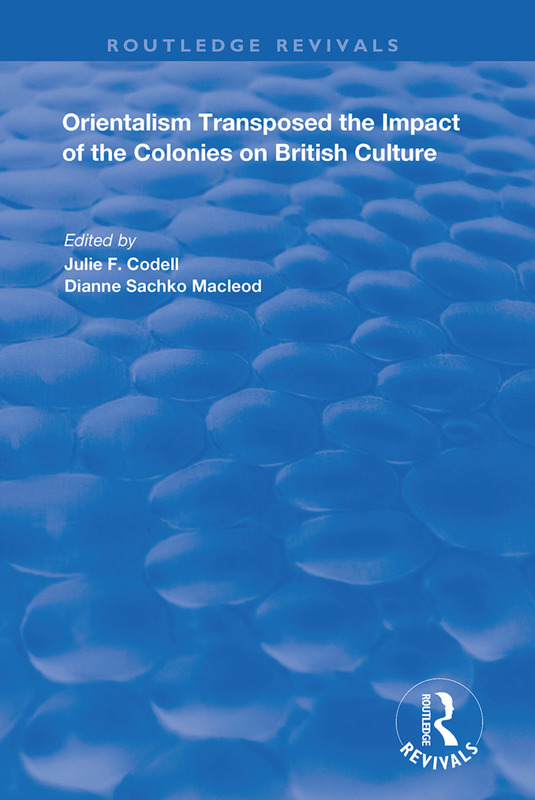 The cultural impact of the British on their colonies has been extensively investigated but only recently have scholars begun to ask in what ways British culture was transformed by its contact with the colonies. The essays in this volume demonstrate how influential the Empire was on British culture from the late eighteenth to early twentieth centuries. They show how, from cross-cultural cross-dressing to Buddhism, British artists and writers appropriated unfamiliar and challenging aspects of the culture of the Empire for their own purposes. An examination is also made of the extent to which colonized people engaged in the orientalising discourse, amending and subverting it, even re-applying its stereotypes to the British themselves. Finally, two essays explore instances of the exchange of ideas between colonies. Several of the essays are based on papers given at the 1996 Conference of the College Arts Association.